Hi all of you again! all this three styles because of they three are inside the icy_phoenix template folder. but the thing is that I have not installed MG Autumn, so I had no change on my website. After installing MG Autumn, Christmas style is only showed if the user chooses MG Autumn as it's style, and the most not understanding thing, is that if set MG Autumn as default template, and Ignore Users preferences, the default Style is Frozen Phoenix (always, no matter what I choose). Is this happening on your pages too? or maybe is any error of me? And your site is ??? And did you clear the template caches while you were in the styles section? And did you clear your browser caches ? When you make changes - You generally have to clear what is stored in the cache - and where you actually add/install the styles it gives you the option to clear or compile the template cache. I am testing at local. I did cleared and recompiled all the stuff. If you want to check my site is www.club-205.com. There is activated the Christmas Styles option (at ACP, with the option just above Snow activation), but the MG Autumn is not installed. I ask this, because in 1.27 version, I only had installed Icy Phoenix, and the Christmas images worked properly. There's only one switch in the ACP for "Snow", so if it's on and it's not working - then it's either a cache issue, or the script is missing. And in this case I can't see the script. Edit: or Christmas Styles. Never said anything about snow. Never said anything about snow. Sorry, but where you said "Images" I assumed that you meant all of the images, Because we just finished dealing with someone else who couldn't load the snow and I thought that is what you also meant? When you wrote theme.cfg, you mean the theme_name.cfg right? There is no other option because i can't find any file with theme.cfg name. I have checked some of the themes installed (actually: Icy Phoenix, MG Authum, Lighning Phoenix, Frozen Phoenix (by default), and a Colorized version of Black Pearl), and the checking of the xmas_gfx var is there. So I do not know what is happening. I have also installed a new clear IP 2.0 and the error stills being the same. There is no change when I activate the Christmas Images. Does any of you tried to enable the Christmas Images and it Worked with the default template --> Frozen Phoenix? Am I doing anything wrong and are other options needed to activate? Do you understand my english right? Depends on which English you are using - If it's English(US) - No I don't. I should have been more specific and not used theme_name.cfg - but for every theme - nested or not there is a cfg file. And each config contains the switches or not for all the xmas stuff. There are no Christmas graphics to switch. IMHO Icy needs a fully-fledged stand-alone default "Christmas Theme" that user's can switch away from (particularly when one cannot turn off the hailstones/aka snow) and get away from being forced into the "Admin's" idea on what other people will think is good fun for them or will automatically like. And if anything, MG needs to list all the themes that contain the Xmas graphics so that people know what is what. Because at the moment it's all too vague. Let's try to clarify myself, maybe I have misconceptions and this is creating wrong ideas on me. IP has templates, that defines how items are placed on the view (how is created the HTML), and inside every template, there are styles, (the CSS stylesheets for a predefined html code). <-- Is this exactly right? As I guess, or view, in IP 1.3 and before, MG Autumn, and Icy Phoenix, was the same template but different styles. <-- Is this ok? As they was the same template, it was possible to apply the Christmas Style (just a .css stylesheet) to Icy Phoenix template. But now, Lightning phoenix (i.e), is a different template, so the stylesheet will not work. It should be defined an specific .css with christmas images for this template. <-- Is ok? If all of them was right, then, I see that in 2.0, the icy phoenix template is common for Autumn, Frozen and Icy, so why the christmas stylesheet is only working on Autumn?? This is not a complain, I am only trying to learn and understand. I think my conceptions about how IP works are not all ok, so I am trying to clarify myself. No, all of your questions are valid, but what has happened is that MG has made so many changes that no-one can keep up with them. Try to get your head around this. You would add at least some Christmas graphics to other themes, although I have no idea of what the result would be without testing it. 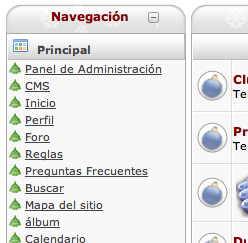 And in icy_phoenix.cfg it appears that the only theme with Christmas graphics is gray - aka Autumn. There also was a time when "nested" themes was an excellent idea because they cut down on repetitive files for every theme - and today it's not required. The best thing that I would recommend to MG is that any theme nested or not, and contains Christmas graphics simply be renamed to something like Autumn-cg. Then we wouldn't be going through what we are going through at the moment. And believe me, at the same time it's NOT easy to be programming all the stuff that MG is/has been doing and keep track of everything that he hasn't done - So maybe he needs to catch up. But I do wish that he would get away from using nested themes. You're right... the whole Christmas stuff is too vague and confusing. When I've created those features there was only two templates, so there was no need to specify too many things... but now that switch is confusing. I'll try to improve this when I have time. Is possible to fast explain how to enable the christmas for lightning phoenix as you did here? I have created a switch similar as mort showed above, but mine is not working properly. You will need style_white_xmas.css that should be in the templates/lightning_phoenix folder. If you don't have it, you can just download from here. Perfect. Thank you for the fast answer!